The French Riviera is home to some of the world’s finest schools. As education at international schools encourages and nurtures bilingualism, many parents in the Principality are eager for their children to attend the best international school that the region has to offer. A commonly discussed topic between parents, therefore, is: which of the international schools near Monaco will be the right one for my child? With a focus on making its pupils internationally minded and cross-culturally aware, the International School of Monaco produces successful, motivated students, who learn vital tools to succeed in later life. Founded in 1994, the school has set a precedent for shaping well-rounded individuals. In recent years, it has significantly developed its facilities. This year alone, the International School of Monaco completed the installation of a brand new extension on the port. Providing students with the opportunity to select the bilingual programme, the school emboldens those who wish to go on to study for the International Baccalaureate programme – an internationally recognised qualification. Due to its convenient location close to Monte Carlo, the International School of Nice is a popular choice for Monegasque students. Having been in operation for over 38 years, the school is a fine institution and focuses on inspiring, supporting and nurturing students, placing an emphasis on creating ‘empathetic global citizens’. The International School of Nice is highly accredited, with recognition from the Council of International Schools and Middle States Association in 1990, 2000 and 2011, most recently. Not far from the idyllic town of Mougins, Mougins School enlists pupils aged 3 to 18, teaching in the English language. The campus itself is extremely welcoming, with a secure play area at its very heart. Easy access to the A8 road means that the morning commutes will be relatively stress-free and the school is most accessible. Mougins School is a centre of excellence, with a strong academic record and a plethora of extra-curricular activities on offer for its students. This makes Mougins School a popular choice for expat families living in and around the Cote d’Azur. Situated in Sophia Antipolis, EBICA International School accommodates pupils aged 3 to 18. Conducted on a bilingual basis, the programme ensures pupils’ bilingualism by the completion of their studies. The school tailors the programme to the individual student, catering for different learner’s needs. Located slightly further afield from Monaco, the International School Provence Alpes-Côte d’Azur is a reputable school held in high regard for its competitive academic record. Due to the location of the institution, the school provides the option of boarding, meaning the morning commute to school is not an issue. These five establishments are distinct in their approach to educating your child, implementing the highest standard of education, supporting academic and personal growth, as well as allowing for stimulating bilingual programmes. 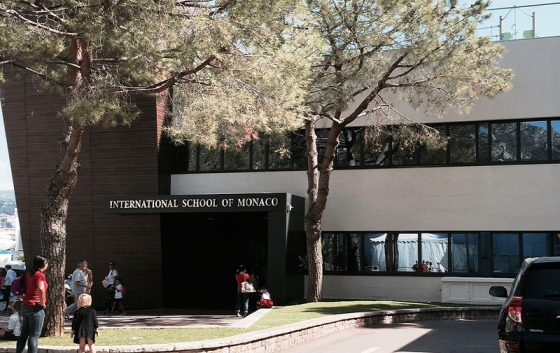 We encourage parents to further their research into the schools near Monaco before making a decision. It is important for both parent and child to be confident in the ultimate decision to propel each pupil towards their full potential. This entry was posted in General, Living in Monaco and tagged education, schools near Monaco by La Costa Properties. Bookmark the permalink.